The details are what give this set a much-loved classic look that will help create a warm, cozy nursery for your little treasure. We 'd all love for them to stay babies forever but they 'll grow fast (as we all know!). So we created kid 's room furniture for the same collection: when baby is older, just complete the room by adding more pieces to what you have. Love it! This country-style 4-drawer chest features decorative drawers, one of which stands out for its grooves, all of which are embellished by wooden handles. You'll be amazed at the style and functionality of this simple transitional chest from the Cotton Candy collection. The drawers with their profiled edges, the attractive legs, and the wooden knobs will add a touch of pizzazz to baby's room, while also providing you with the storage space you need for your little cutie's clothes and blankets. This versatile, timeless piece is a smart, economical choice, since your child can use it for years to come! Simple but stylish, this 5-drawer chest from the Karma collection can fulfill its storage function while adding a flashy touch to your childs bedroom. Its contemporary look will go wonderfully with modern dicors, thanks to its pyramidal wooden feet, its pure lines and its elegant metal handles. 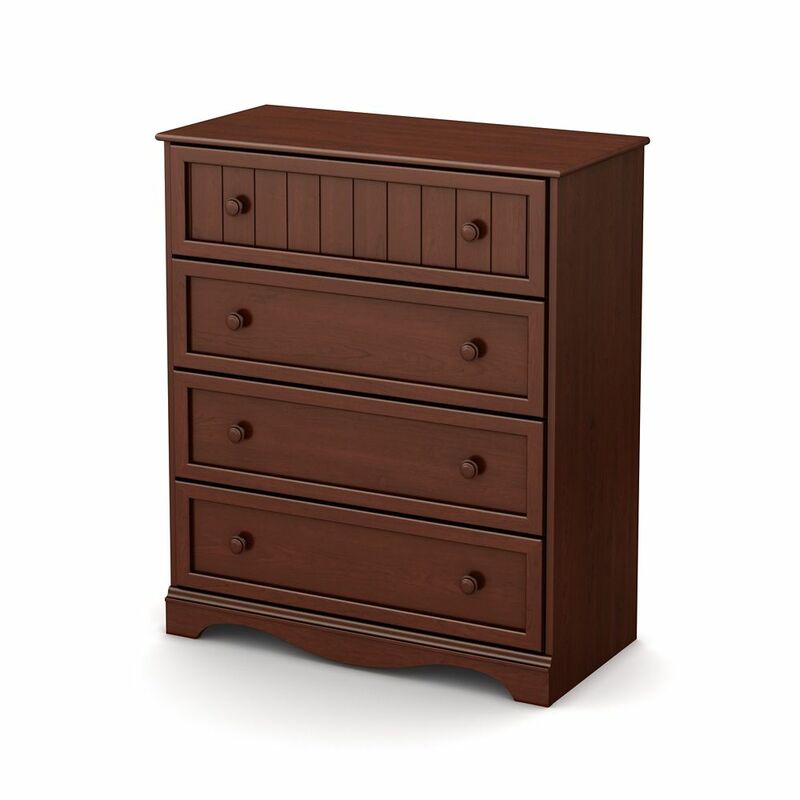 Savannah 4-Drawer Chest, Royal Cherry The details are what give this set a much-loved classic look that will help create a warm, cozy nursery for your little treasure. We 'd all love for them to stay babies forever but they 'll grow fast (as we all know!). So we created kid 's room furniture for the same collection: when baby is older, just complete the room by adding more pieces to what you have. Love it! This country-style 4-drawer chest features decorative drawers, one of which stands out for its grooves, all of which are embellished by wooden handles.